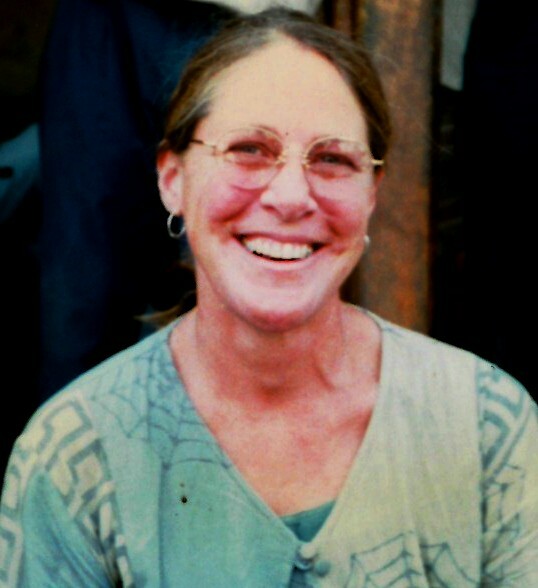 Kathleen Rivest, 66, of Nelson, BC, died peacefully surrounded by family on June 6, 2015, at the Marjorie Willoughby Snowden Hospice House in Kamloops, BC. Born May 2, 1949 in Montreal, Quebec, she is predeceased by her parents, Georges and Desneiges Rivest of Ste.­Julienne, Quebec. Kathleen lived her life with a passion for nature and the outdoors. She spent much of her free time gardening, canoeing, camping, and hiking with her canine companion, Jack. In the late 70’s she moved to Nelson BC where she lived with her two daughters. She was adventurous and resourceful, doing everything from fixing a car or wielding a chainsaw to sewing quilts and knitting sweaters. She loved listening to CBC radio and having long conversations about philosophy, spirituality, politics and feminism. She enjoyed traveling and spent nearly a year in South East Asia, taking her mother at 70 years old on her first experience out of Canada. In her last 11 years, Kathleen lived with severe brain damage but was still able to bring a smile to many who came in contact with her. May she finally rest in peace. Survivors include her two daughters, Colline Johnson (Ryan) of Vernon, BC and Ginger Rivest of Nelson, BC, two grandchildren (Caleb and Brielle Johnson), a brother Gaye Rivest of Nominigue, Quebec, a sister Helene Rivest of North Delta, BC, a nephew Cedric Binette Rivest (Marjolaine) of Nominigue, Quebec, and two nieces Eau­Vive Heppenstall (Todd) of North Delta, BC and Faye Torcom (Randy) of Stowe, Vermont. A Celebration of Life will be held in Nelson, BC on a date later to be announced. Kathleen’s family wishes to thank all of the staff and family at Westsyde Care, where Kathleen resided, for their dedication to providing Kathleen with a loving home during her time with a severe brain injury. The family thanks the staff and volunteers at the Marjorie Willoughby Snowden Hospice House for their professionalism, care, and attention to detail during Kathleen’s last days.